Back in January, I posted what I wanted to accomplish for the year in terms of renovation and house projects. If you would like, check out the 2017 House Goals post to learn more. Since we are about half-way through the year, I thought it was time to revisit that post to see if I’m on track for what I wanted to accomplish. 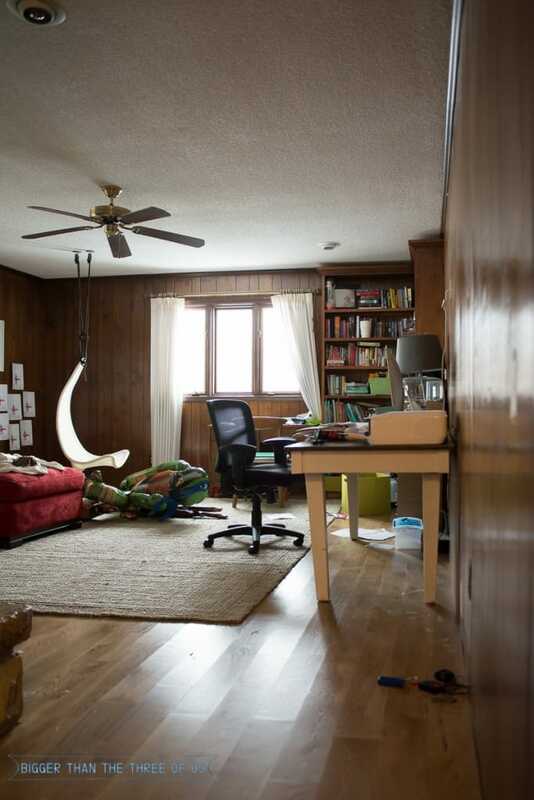 One of the projects that I wanted to tackle was our playroom/office. Can you see why? Well, I’m happy to report that I worked on it over the course of January and am now much happier in the room. It’s still far from perfect and is only half-way inviting when it’s clean, but it’s so much better than where it was. 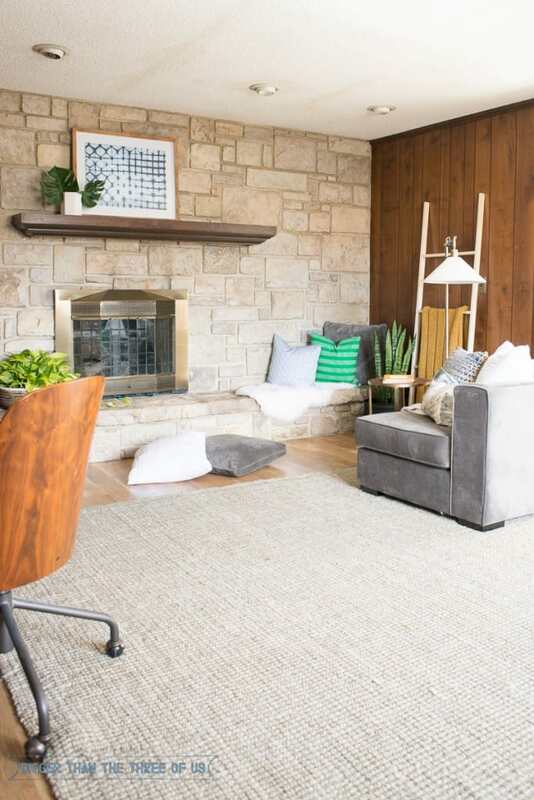 If you want to see sources and all the details, make sure to check out the playroom reveal. Yay! Another one checked off the list. 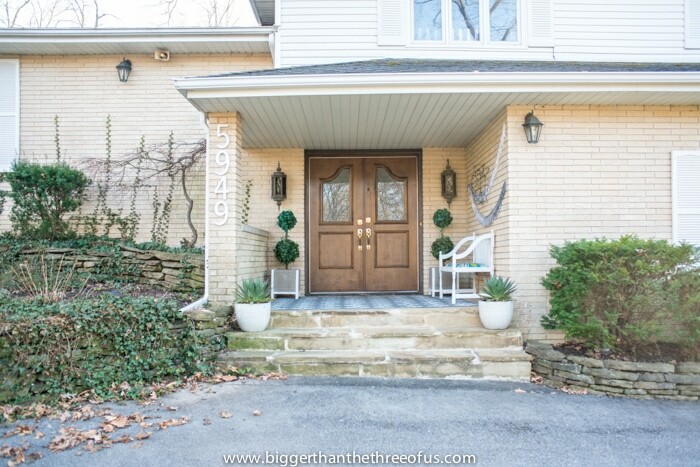 Remember our front doors that not only looked bad but got stuck together in the summer and leaked cold air in the winter? During the One Room Challenge, we replaced them! 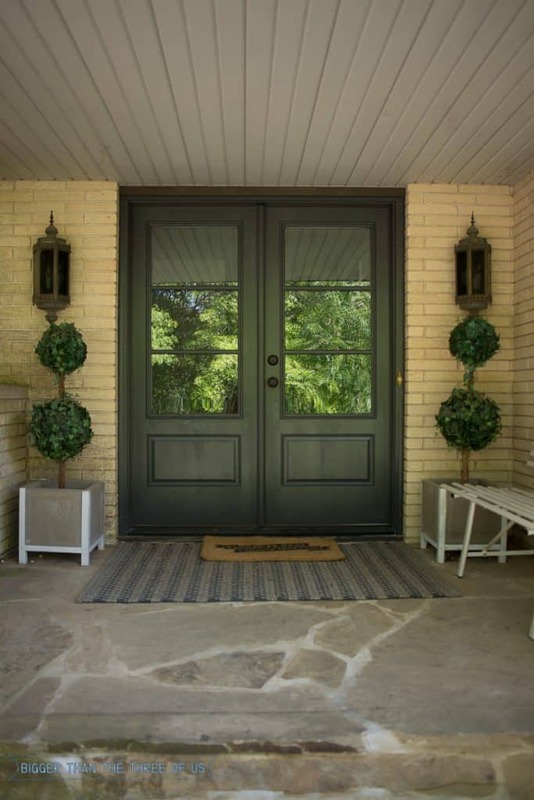 Catch the full Entryway Reveal if you missed it or the details on cost of replacing your front doors. 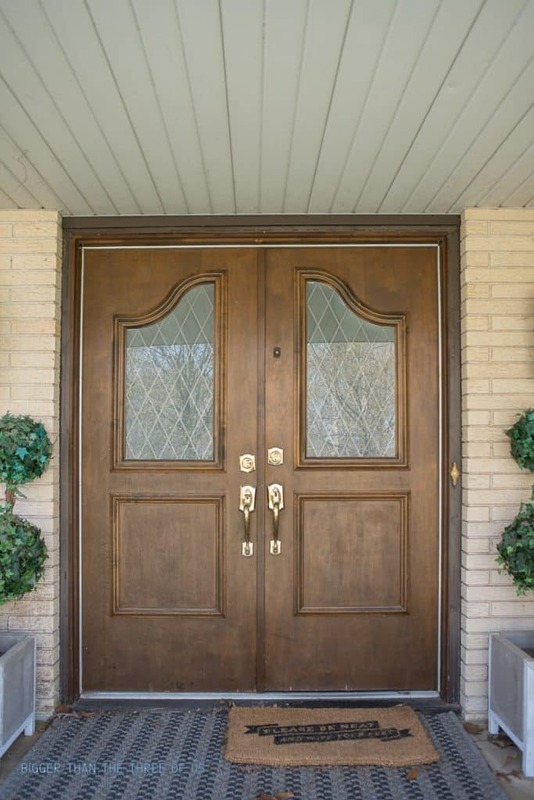 For the entryway reveal, the doors (above) looked a bit streaky. The paint finish wasn’t perfect. So, after I shot the reveal, the painters came back out and repainted them. 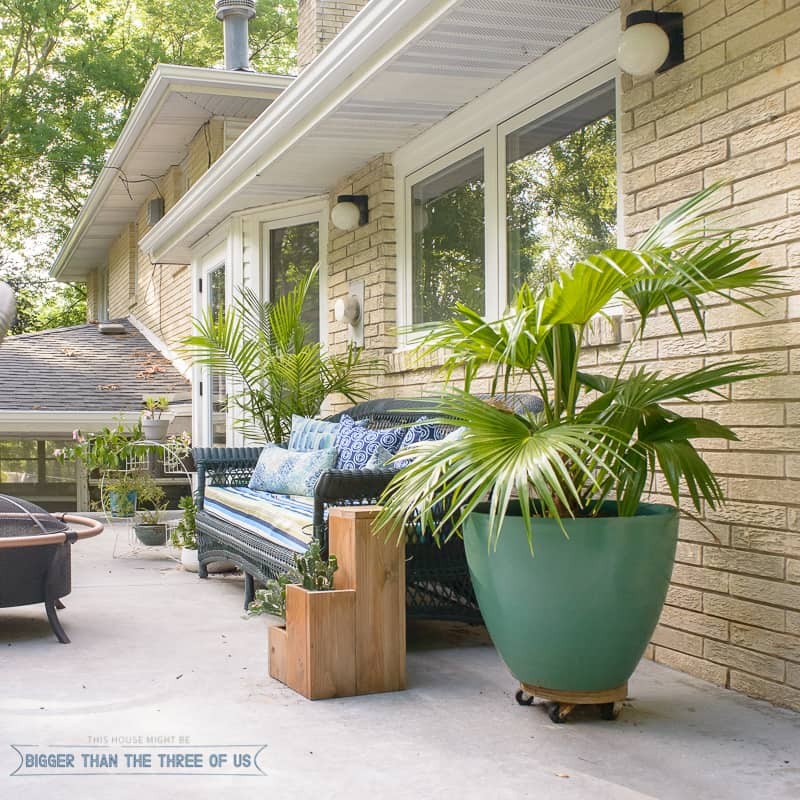 I still haven’t reshot the patio area because I’m working on tweaking it (just the decor) but they look so good now! More progress on that soon. Luke and I have been talking about the basement and I’ve been working on purging our junk but that’s about all that we’ve done. We are still trying to get a plan for this space. I’m really pushing for egress basement windows which require quite a bit of planning, budgeting and hiring it out. So, I think we are leaning towards renovating the bathroom in the basement first and then working on the space around it. Although, that kinda seems funny to do too because that bathroom never get used. So, maybe we should just refocus our efforts on a space that does get used regularly by us and by guests? We have a powder bathroom off the entryway that gets used a lot and it’s bad. So, maybe we should tackle that instead? I go back and forth because I want to start work on the basement because it could be such a fun hangout spot for Greyson and his friends. I feel like he’s a bit young yet for this space to really be used but I do feel like we are probably only 1-2 years out for it to be actively used. And, with how long Luke and I take to renovate… I just feel like that’s about how long it’s going to take us. So, definitely still on the fence here but you can expect us to make some progress renovating by the winter. We haven’t got to the rock bed in the front of our yard and I’m not sure we will this year. We worked on the biggest bed in the front of the house this year and got that looking pretty good. We also had our gutters replaced, had our well worked on and had a HUGE tree that was having root rot taken out in the backyard. So, we might be about finished with outdoor expense this year. Between those three things, we paid out over $10K so, you gotta know when to call it quits with updating and I think we are there. I did finish our patio though. Yay! It’s not perfect but it’s welcoming, and we enjoy spending time out there. 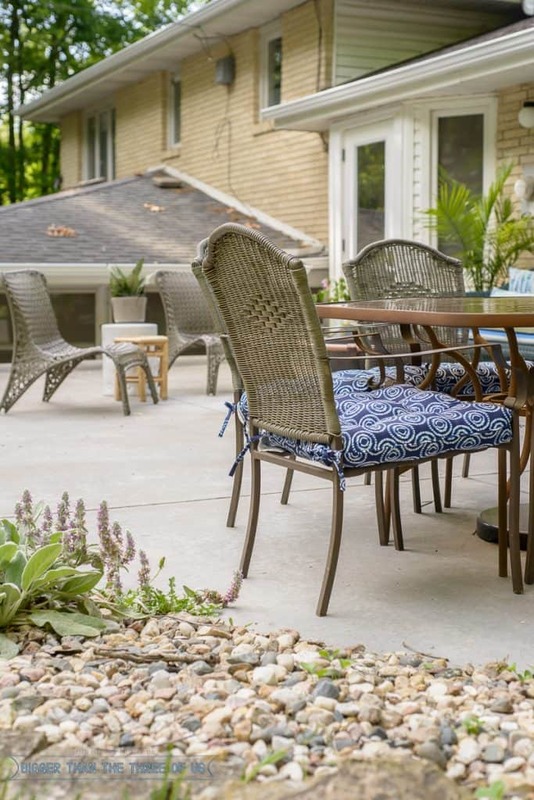 If you missed it, check out our budget-friendly patio reveal for all the details! 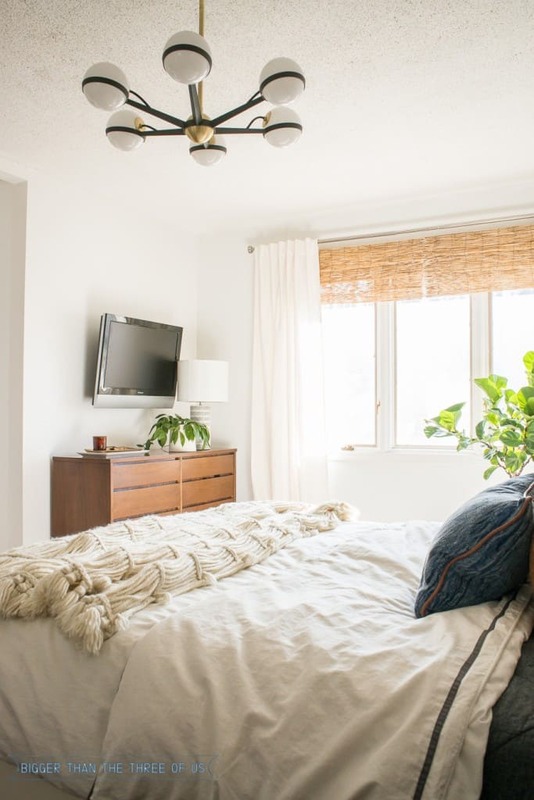 We finished the master bedroom and that was one of the projects on our renovation list. We both really love how it turned out. 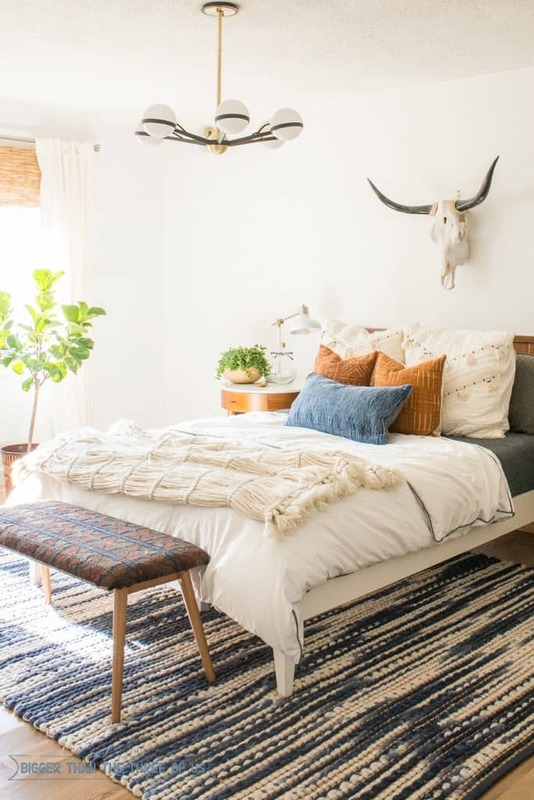 See all the details and sources in the Mid-Century Master Bedroom Reveal. Other than that, we just had various DIYs on the to-do list for the year. 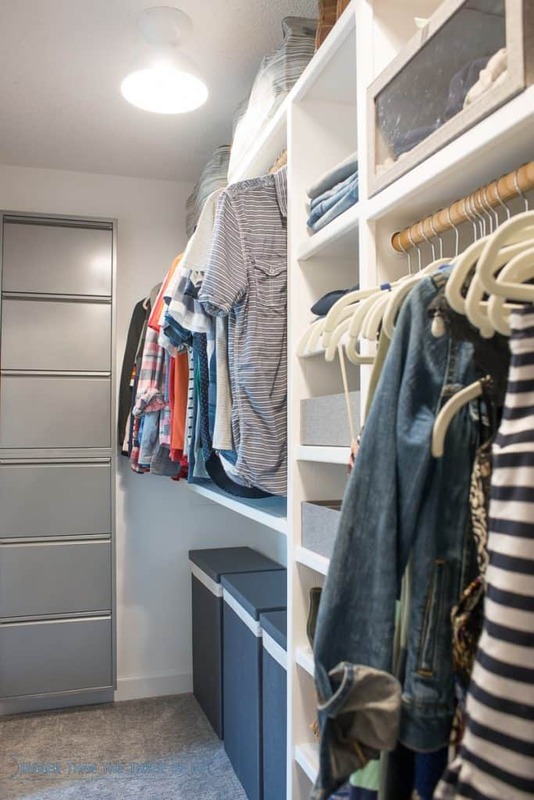 One that wasn’t on our mind, but is one of my favorites is our closet reveal. 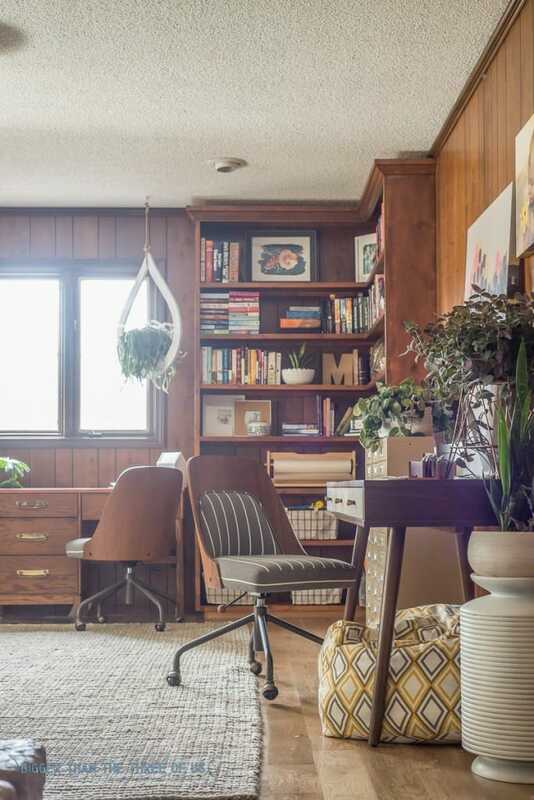 I freaking love this space and can’t believe it turned out how it did. See the before/after closet and the whole reveal to get all the details! So, all in all, I think we’ve done pretty good! I never know exactly how much we accomplish until I do a post like this, so I’m excited to check-in once a year or so and tally everything. Do you have a favorite project that we’ve done so far or do you have one that you are looking forward to us doing?